"Dr. Rooh adjusted my neck, back and my spine. My headache is now gone." "Excellent. They help you meet your goals." "Dr. Rooh has helped me with my autoimmune disease...Best doctor I have found in AZ." "Painful to pain free in just days. Dr. Rooh is fun, capable, professional.."
"Dr. Rooh is fantastic! I wouldn't dream of going to another chiropractor!" "Dr. Rooh is fantastic. I would recommend Dr. Rooh to anyone." The highly experienced and passionate holistic health care practitioners at Wellness 1st Integrative Medical Center help men and women in and around Gilbert, Arizona, deal with a wide range of health problems and concerns. Some of the many health concerns and issues that the Wellness 1st team treats include autoimmune diseases, diabetes, arthritis, chronic pain, and much more. Patients who’ve previously been told that they just have to live with their health problems, or that their only hope is to use short-term medication that doesn’t do anything to reverse the actual problem, often find relief at Wellness 1st Integrative Medical Center. Relieving symptoms through medication is only a quick fix, and it can be particularly bad because overall health could deteriorate markedly while masking symptoms. Caregivers do a full analysis of each patient, and then create an effective integrative medicine plan that includes cutting-edge natural therapies to solve problems rather than just treating them in the short term. 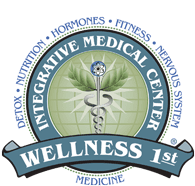 Wellness 1st Integrative Medical Center is accepting new patients from the Chandler, Gilbert, Mesa, Tempe, Queen Creek, Scottsdale, and Ahwatukee areas now. Book through the online tool or by phone today. Dr. Rooh, DC, DPSc., BCIM is a wellness mentor, functional wellness practitioner, national speaker, and architect of lifestyle enhancement programs. His professional education includes doctor of chiropractic, functional endocrinology, and functional neurology. As a licensed provider for the Pastoral Medical Association, Dr. Rooh serves members of the association’s free Member Share Network, only. Using lifestyle enhancement programs not designed to treat or cure disease, he offers non-invasive, natural methods for gaining and preserving wellness. THE COMMANDO COACH- w/ Dr Farid Rooh-Alternative Medicine- BONBON Networks from Dr. Farid Rooh on Vimeo. Stem Cell Informational Video - w/ Dr Farid Rooh-Alternative Medicine- BONBON Networks from Dr. Farid Rooh on Vimeo. If you are looking to lose 20+ lbs in just 42 days, the ChiroThin Weight Loss Program is going to be perfect for you! Call our office today to schedule your risk-free consultation!